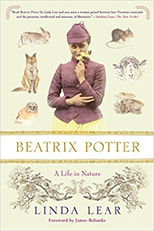 Beatrix Potter: A Life in Nature reveals a lively, independent, and passionate woman, whose art was timeless, and whose generosity left an indelible imprint on the countryside. This anniversary edition is complete with a brand new foreword by James Rebanks, the Lake District shepherd and social media sensation who chronicles his world on Twitter and in his wonderful book, A Shepherd's Life. *James Rebanks introduction is only in this edition by St. Martin's Griffin. This book is available on Kindle. "Beatrix Potter"'s books are adored by millions, but they were just one aspect of an extraordinary life. This captivating biography brings us the passionate, unconventional woman behind the beloved stories: a gifted artist and shrewd businesswoman; a pioneering scientific researcher; a powerful landowner who conserved acres of Lakeland countryside; a daughter who defied her parents with her first tragically short engagement and who, finally was given a second chance of love and happiness. The world famous artwork of Beatrix Potter needs little introduction — it is as beloved as the familiar children’s stories it illustrates. But few know of her work in the gardens and interiors of Hill Top, the farmhouse Potter purchased in 1905. The estate and surrounding scenery inspired many of Potter’s stories and illustrations, and this gorgeously illustrated book shows Potter’s homes and her magnificent gardens beside those drawings, revealing the real-life sources for Peter Rabbit and many other Potter classics. The book also includes letters and diary excerpts, further exploring the relationship between Potter’s home in the Lake District and her iconic artwork. 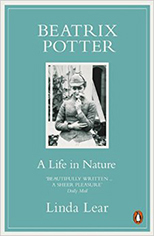 For those fans of Potter who want to delve further into her aesthetic underpinnings, this intimate look into Potter’s private world is a must-have. Spread over the 40 years that the author edited Cumbria magazine, these interviews recall memories stretching back to the time when Beatrix bought the now famous Hill Top farm at Sawrey in the heart of Lakeland. She was already internationally acclaimed for her series of 'Peter Rabbit' books and her local status was increased when she married William Heelis, a Hawkshead solicitor. The books gave her the means to purchase over 4,000 acres of land, which on her death in 1943 was bequeathed to the National Trust as her personal legacy to the Lake District. The many archive and present-day photographs in this fully illustrated book place a new light on the Lakeland years of Beatrix Potter. Pride of place is given to the breed of sheep that she did so much to foster ? her beloved Herdwicks. Leslie Linder's authoritative biographical eBook tells the tale behind The Tales - the history of how each book in the famous Peter Rabbit series came to be written. It also covers a wealth of of Beatrix Potter's writing that has never been published before. This lavish, illustrated journal describes Beatrix Potter's life as a young woman in Victorian Britain as she struggles to achieve independence and to find artistic success and romantic love. Using witty, observant commentary taken from Beatrix' s own diaries, the journal moves from London to Scotland to the Lake District, and features a wealth of watercolour paintings, sketches, photographs, letters, paper-engineered items and period memorabilia to recreate a world where nature and imagination are brilliantly combined.